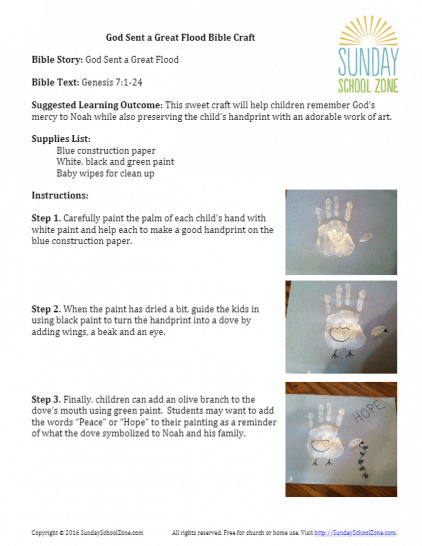 Handprint crafts are generally easy to do and are great fun for kids. 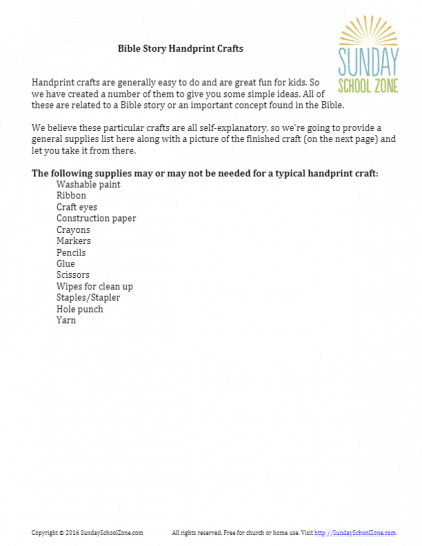 So, we have created a number of these crafts to give you some simple ideas. All of these are related to a Bible story or an important concept found in the Bible. 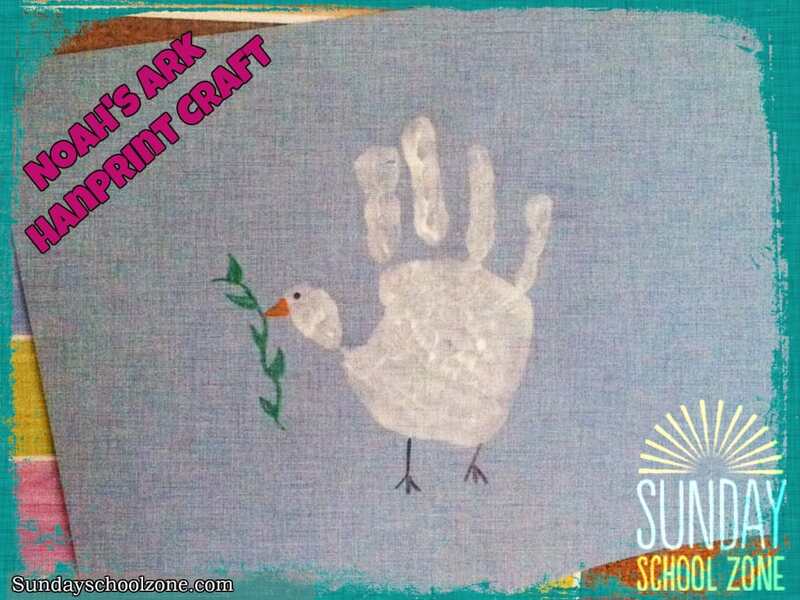 This Noah handprint craft relates to Noah’s ark when he sent out a dove that returned with an olive leaf in her beak (Gen. 8:11). The story will help kids learn that God provides salvation for those who trust Him. The God of the Bible is still a God of salvation! The story of the good Samaritan demonstrates that friendship is defined by love and compassion, not race. 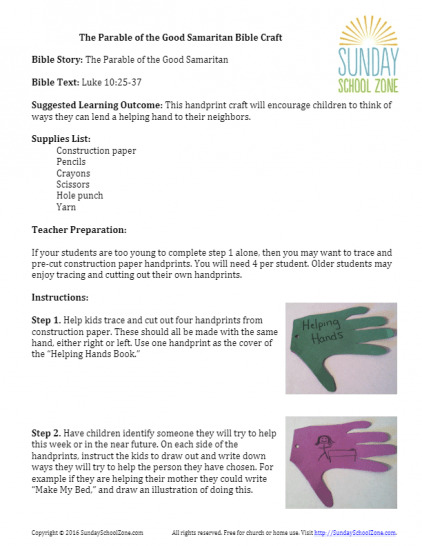 This handprint craft will encourage children to think of ways they can lend a helping hand to their neighbors. There are many ways to show our love for Jesus. Mary (sister to Lazarus and Martha) once anointed Jesus’ feet with perfume. 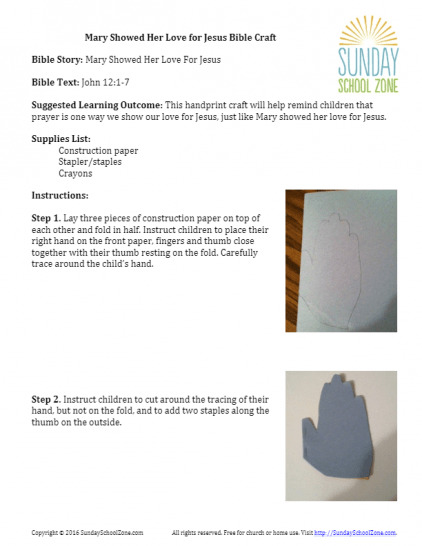 This craft will help remind children that prayer is one way we show our love for Jesus, just like Mary showed her love for Jesus. Even in the midst of judgment, God showed mercy to Noah and his family. This child’s hand craft will help kids learn about the story of Noah while creating something to help them remember God’s mercy to Noah. 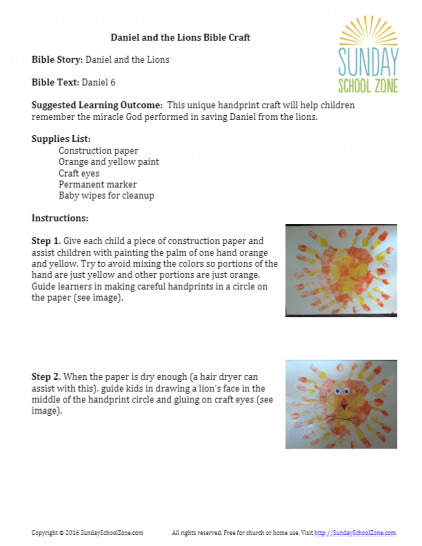 This word tile activity will engage kids in the story of Daniel in the lions’ den found in Daniel 6. This is a great story about trusting the Lord and God’s great power to protect in any circumstance. 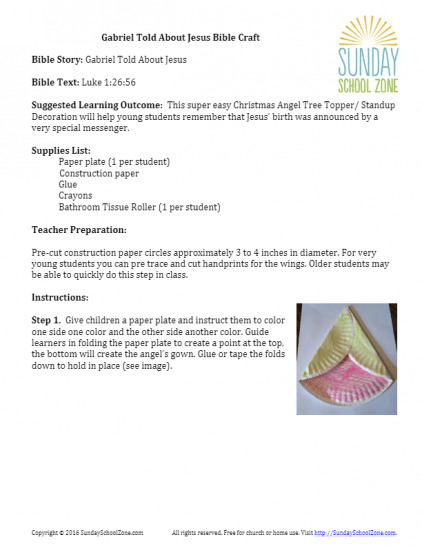 This Bible craft gives the “bottom line” of Gabriel’s visit to Mary. “Mary will be the mother of Jesus.” This was an important message, not just for Mary, but for everyone today as well. God’s Son was coming into the world! Mary would be his mother, but His Father was God! 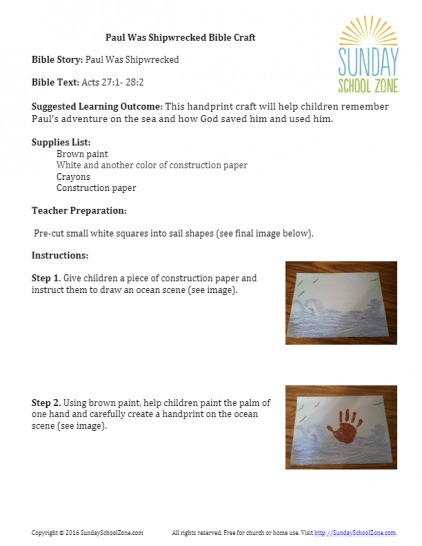 This handprint craft, based on the dramatic story of Paul’s shipwreck found in Acts 27:1–28:2, will help children remember Paul’s adventure on the sea and how God saved him and used him to advance His kingdom in spite of the difficult circumstances.